Professional Learning Networks (PLNs) extend learning and planning opportunities that foster a spirit of collaboration and cohesion to enhance the classroom experience for students. The process is designed to shift attitudes of teacher compliance to teacher capacity built with a positive and genuine commitment to the learner. They are also designed to shift schools from typical to exemplary. Exemplary schools have a faculty of educators with a growth mindset as opposed to a fixed mindset. PLNs come in a a variety of deliveries. Professional Learning Communities, Collaboration Around Student Learning, Learning Teams through Single School Culture, and Digital Learning Networks are four top models used in education across the nation. Team learning builds upon personal mastery and shared vision. This involves creating a snapshot of what is important to both individuals and the school community. Although individuals are responsible for their own actions, feelings and opinions, it is the common good of the community that guides decision making. PLNs are an important tool to help promote educator effectiveness. We break down these four models in the tabs below. Each model has an acute interconnectedness with the Digital Learning Network being one that allows for collaboration to reach beyond the walls of a school building. 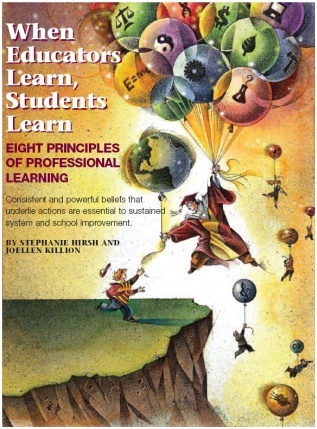 In their article “When Educators Learn, Students Learn”, Stephanie Hirsch and Joellen Killion discuss eight principles of Professional Learning. The authors’ experiences with improvement efforts, particularly those which failed to be fully implemented, cause them to wonder if other approaches to improvement will increase their potential for success. They conclude that principles–powerful beliefs that underlie actions–are essential to sustained system and school improvement. Over the years, they have identified principles consistent with the most effective improvement efforts associated with professional learning that increases impact on educators and students. As a result, they offer a set of principles for those who want to improve professional learning and increase its effect on educators and adults. They believe that these eight principles will lead to more effective, principle-driven professional learning focused on shared goals of improved leading, teaching, and student learning. Rather than identify practices for professional development, the authors recommend clarifying the principles that underlie one’s work. They identify their eight principles and invite others to clarify their own principles and reach consensus on those that drive decisions in their schools. Educators who embark on a journey of lifelong learning and a continuum of growth are definitely in a growth mindset. It is with that mindset that educators will successfully transfer knowledge and skills to their students. Students with these teachers will in turn become successful in their learning and they too will most likely emulate their teachers’ lifelong learning journey. Click on the image to the right to see full article. 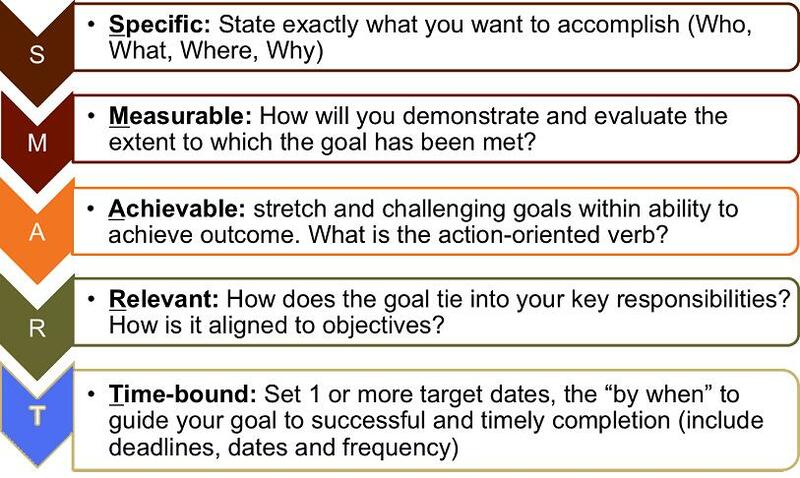 SMART Goals help build a culture of purposeful meetings within the school. With a focus on data PLCs use informed decision making regarding curriculum and teaching. They are simply a tool to concentrate our focus and move us in a forward moving direction. Schools with a PLC culture have a strong organizational capacity. In these schools you’ll find teachers who: 1) pursue a clear, shared purpose for students’ learning 2) engage in collaborative activity to achieve that purpose, and 3) take collective responsibility for student learning (Newmann & Wehlage, Successful School Restructuring, 1995, p. 30) The SMART goals process is a methodology for building school capacity through teacher engagement in ongoing job-embedded professional learning. PLCs become powerful for creating shared responsibility for student learning. CASA groups are designed as "home" groups of professional educators that follow students throughout their educational careers. The focus of the CASA group is the student's achievement. These educators follow targeted students who need additional scaffolds and safety nets in place for success. The focus becomes a particular child rather than a particular objective or learning standard. The collaboration team should include parents and the student. The team assists students in a progressive growth plan helping to counsel and advise students based upon their goals, dreams and aspirations. The team also closely monitors the student's grades and behavior and provides routine check-ins for encouragement. The model school builds CASA groups for each and every student rather than targeted or At-Risk students. Many private schools are able to manage this due to smaller class sizes and better flexibility. Regardless of the student involved, CASA groups become a positive piece of the student's educational experience. Learning Team Meetings via Single School Culture are regularly scheduled meetings designed to provide an opportunity for "just in time" on site staff development that addresses the school's academic needs. The focus of the Learning Team Meeting is the exploration of knowledge and/or strategies that address curriculum, instruction, assignments, and assessments in their relation to improving student achievement. The educational focus of each meeting is continuous improvement using research based processes. With embedded staff development these meetings process with an opening mini professional development workshop followed by unpacking standards through decomposing and deconstruction of each element of the lesson planning protocol. Learning Team Meetings are an opportunity to collaborate while planning. The planning demonstrates deep understanding for intelligent transfer and application of knowledge. Students are then able to successfully transfer their skills to meaningful real world applications. The School District in Palm Beach County Florida has a model plan resulting in consistency of both adult and student practices related to: Academics, Behavior, Climate, Data. 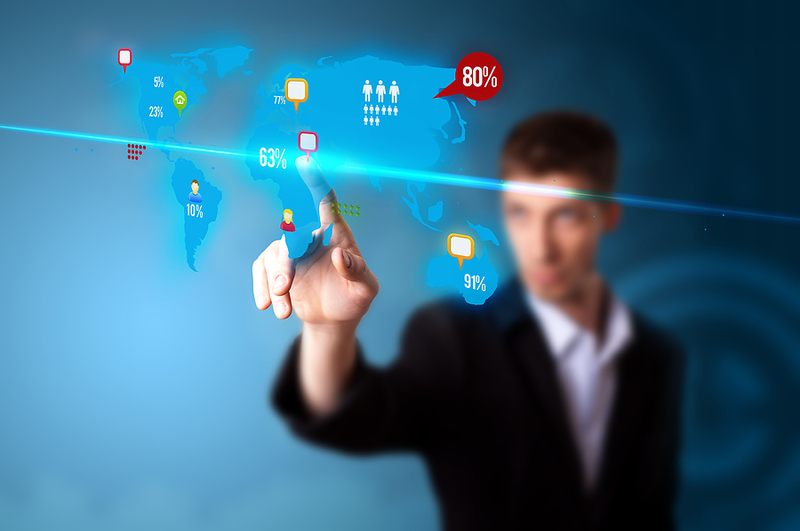 US Digital Literacy offers online learning networks that reach beyond the doors of your school. Digital Learning Networks offer you an affordable alternative to Continuing education with a open mindset towards growth. Your open mindset will help you continue your journey in education and help your reach your aspirations of teacher leader. Teacher leaders find themselves in roles to support administration at their schools and help build capacity in teachers which transfers to building capacity in our students. Wouldn't it be great if all teachers in your building had the same open mindset as you. Your participation in Digital Learning Networks (DLNs) means that you are able to network with educators across the country and be on top of cutting edge research based strategies and exemplary technology releases to share with your faculty and staff. Mediums for DLNs can be blogs, Edmodo groups, Chat Groups, SecondLife and a variety of online learning networks such as BlackBoard and Moodle. The possibilities are constantly growing.